Greetings! My name is Terry R. Anderson and I am the Director of Administrative Services for Firebaugh-Las Deltas Unified School District. In this position, I am responsible for writing grants for the district, oversee school safety and security, School Attendance Review Board (SARB), and other duties necessary for the improved operations of the district. I also act as “principal” for El Puente High School, Firebaugh-Las Deltas Community Day School, and Firebaugh Las Deltas Adult School. Just a little background on my time here in Firebaugh-Las Deltas Unified School District… I came to Firebaugh in 2008 to be the principal of A.E. Mills Intermediate School. I then became the principal of Firebaugh High School for 7 years (from which my son graduated in 2016). The time I spent as principal of these two wonderful schools was special and rewarding. My wife and I both live in the community and enjoy being a part of what makes Firebaugh so special and unique in the valley. I have been in my current position Director of Administrative Services since June of 2016. It has been rewarding to assume the duties and responsibilities of my current position and continue the improvements to the three programs at the Firebaugh Alternative Community Education (FACE) campus. I am proud of the positive transformation and growth that has taken place on our campus this year and I am confident that our continuous improvement will continue at a robust pace. Academic achievement has improved steadily and the climate and culture of our campus is positive and safe. At El Puente, all students who came to us at the beginning of the school year were provided with an academic plan to either reintegrate back into FHS after completing their credit recovery goals or remain and graduate from El Puente High School. Through small group instruction and credit acceleration, we are fulfilling our mission of remediating the credit deficiencies of students and creating the opportunity for them to become FHS or EPHS graduates. At Firebaugh-Las Deltas Adult School, our enrollments have increased dramatically! This year, we found it necessary to again expand the number of classes and expand availability in our morning and evening sessions. Courses offered are ESL Civics Participation, ESL Citizenship Preparation, ESL Digital Literacy 1 and 2, and our High School Diploma program. The number of adults earning their high school diploma increased four-fold last year over the previous year and is indicative of our mission and vision for our adult education program to assist community members in attaining academic and workplace skills. Ten (10) Adult Education students passed their US Citizenship tests and became citizens this year, acquired English fluency, and are greatly expanding their career opportunities. Applications were submitted to the Accrediting Commission for Schools/ Western Association of Schools and Colleges (ACS/WASC) for ﻿both﻿ El Puente High School and Firebaugh-Las Deltas Adult School. The applications were accepted and the self studies were submitted to the Commission. El Puente was visited by WASC representatives in February, 2018, and another visiting committee inspected our Adult Education program in April, 2018. 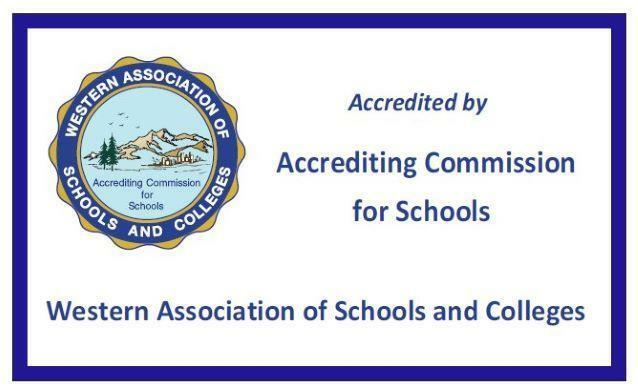 On May 4th, 2018, El Puente High School was notified by the WASC commission that our institution was officially accredited by ASC/WASC. Firebaugh-Las Deltas Adult School received its WASC accreditation in June, 2018. Lastly, I would invite all visitors to our website to explore the various links and pages that would further inform you of our programs, events, dates, and opportunities that are available to students, parents and community adults. Please note that there are pages that are unique to all programs – El Puente High School, Community Day School, and the Adult School Program. At FACE, we encourage all students and parents to become involved within the school community --- especially as it pertains to our students’ academic progress, workforce development, and the holistic social and emotional growth that will prepare them for the challenges of college and career opportunities.